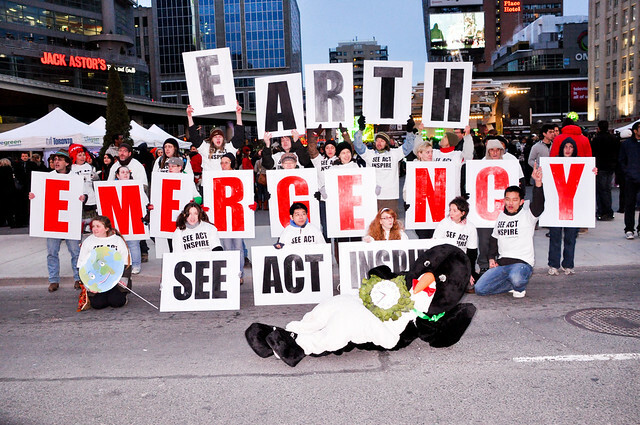 climateye.org was ecoSanity.org, which from 2007 to 2011 conducted itself as an independent, hard truth, environmental / social justice, volunteer activist / advocacy initiative based in Toronto, Canada. Since 2012, and with the occasional exception, Founder Glenn MacIntosh stepped back from public activities, volunteer organizing, group facilitation, and video / stills / image creation services to devote more time to research, climate compilations and online advocacy. As a result, Volunteer Defenders is on hiatus until further notice. Our deepest gratitude to all of you who have at one time or another taken part in ecoSanity’s public activities. If circumstances evolve, we’ll sure let you know! Meanwhile, check out these videos for a little inspiration and consider getting in touch with one or more of the entities below.